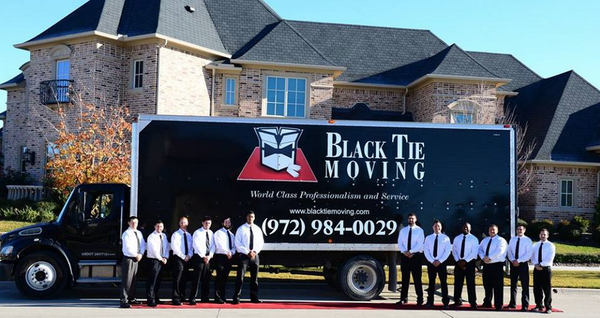 Black Tie is proud to be the leading relocation company among Moving Companies in TX, with the most trusted name in the business. We are fully licensed to perform local moving in Texas. Black Tie Moving is also a premier; tier 1 national long distance moving company, performing pickups and deliveries throughout the continental United States. We are the Local Movers in Texas who are called upon by many of the most high end and particular clients around when they want their move done right. When moving long distance, our capabilities are second to none. We are insured, and are members in good standing of numerous professional and Consumer agencies. Our team includes estimators, relocation consultants, packers, supervisors, drivers, dispatchers, operations managers, and a dedicated Customer Care Team to assist you with any needs you may have before, during, and after your move.